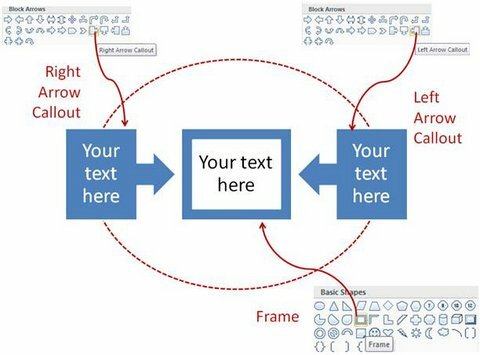 Learn to create new and dramatic diagrams by changing shapes of default graphics. 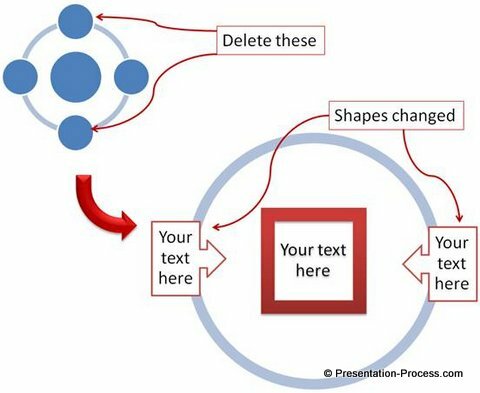 Discover the hidden capability of SmartArt to enhance your presentations. 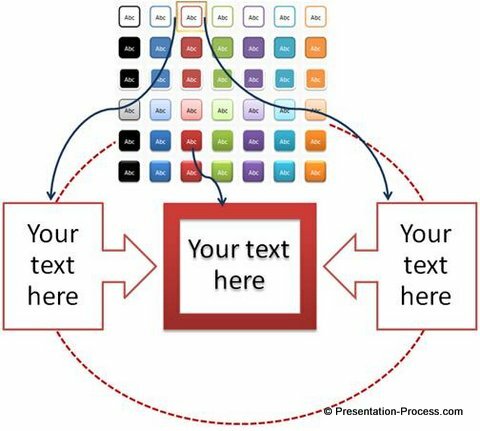 We created the graphic by altering ‘Continuous Block Process’ graphic in-built in your PowerPoint. Let us learn to create the graphic in a step by step way. You’ll learn a number of hidden capabilities in the process of creating this new graphic. 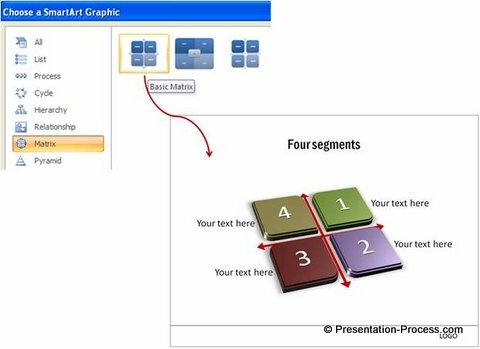 Go to Insert tab in PowerPoint Ribbon and select SmartArt tool. 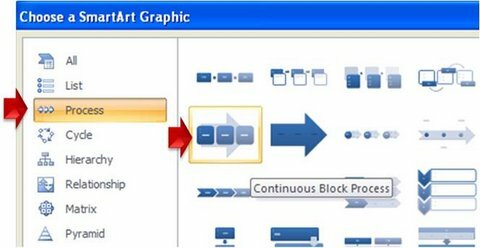 In ‘Choose a SmartArt Graphic pane’ go to Process -> Continuous Block Process. We will try to change this graphic to suit our specific need. Make ‘Shape Fill’ color as ‘No Fill’. Select Red color for ‘Shape outline’. The shapes used are – ‘Left arrow callout’, ‘Right arrow callout’ and ‘Frame’ under Basic Shapes option. Select each of the shapes, go to Format > Shape Styles and apply the quick style of your choice. 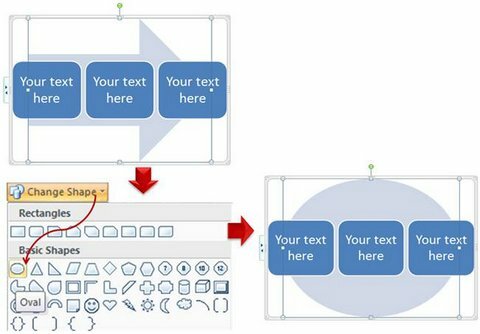 We wish to share with you some diagram templates from our ‘PowerPoint Charts and Diagram Templates Packs for CEOs’ to showcase the results you can achieve by changing shapes in SmartArt. Our 2 CEO packs have more than 1600 premium charts, diagrams, graphs and graphics to help you visualize every business idea imaginable. Thus you can create your own variations by playing around with various auto shapes. If you are too busy to invest time in experimenting with various options in PowerPoint and SmartArt to create graphics for your business presentations, we have an elegant solution for you. 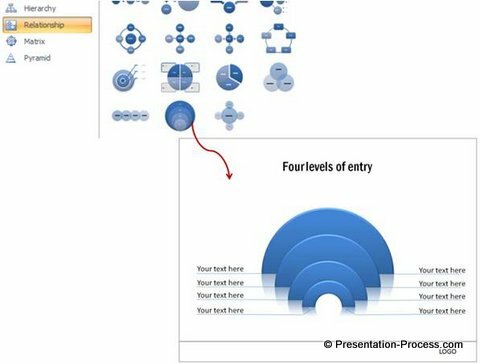 We recommend you take a look at our ‘PowerPoint Charts and Diagram templates packs for CEOs’. 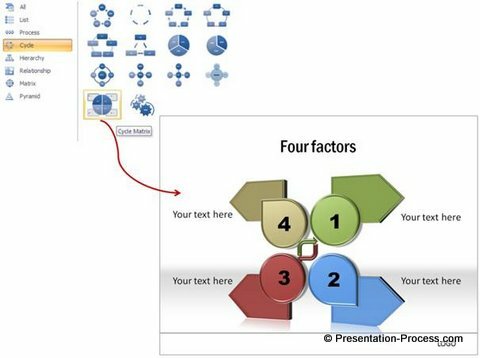 It is a simple ‘pick and stick’ option to help you create professional business slides in minutes. 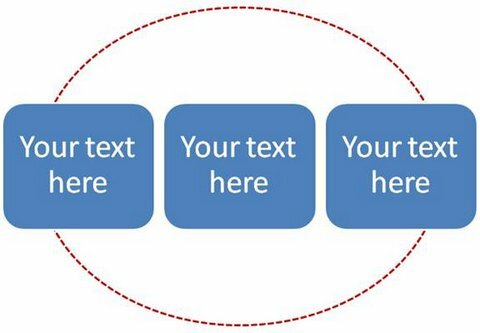 Just choose the diagram template that captures your idea. 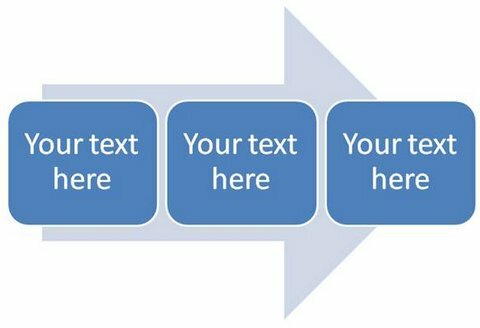 Make suitable alterations and replace sample text. Your business slide gets ready in no time. Creating great presentations has never been easier. Why waste time creating your diagrams from the scratch when you have such a high quality solution available off the shelf? 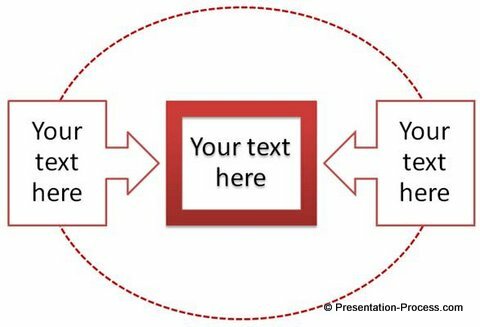 Please browse through our diagram templates collection and see how our ‘CEO packs’ can change the way you create your business presentations forever.